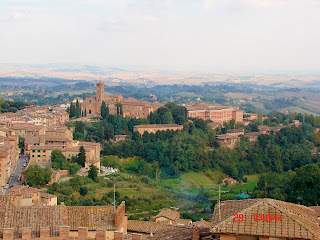 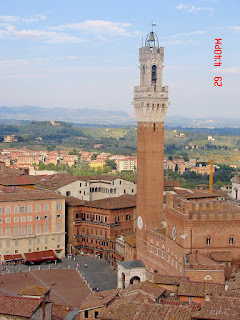 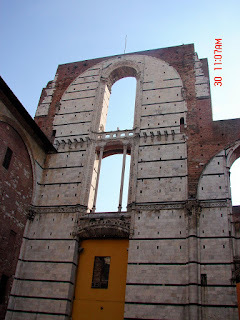 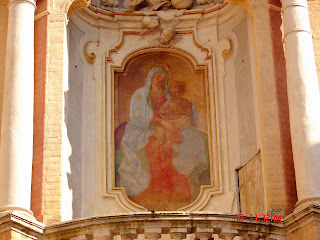 After walking through Tuscany I headed back to Siena. 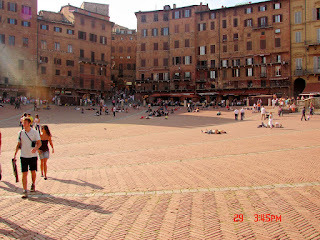 Sienna is a university town and there were beautiful women everywhere. 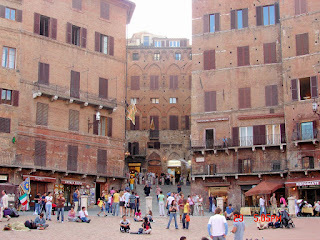 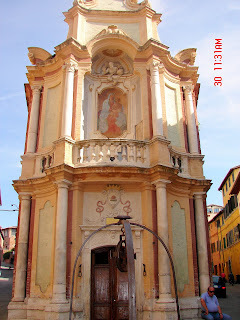 Lots of expensive shops in the best preserved medieval city in Italy. 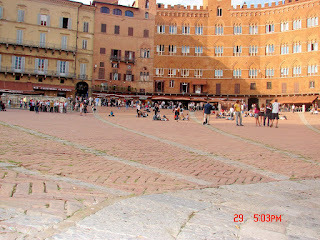 The Piazza di Campo is shaped like a bowl. 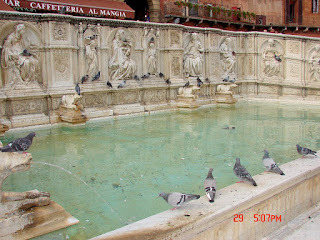 In the best it was the meeting place for the city and today it is still a great place to meet friends, get a bite to eat or just bask in the sun. 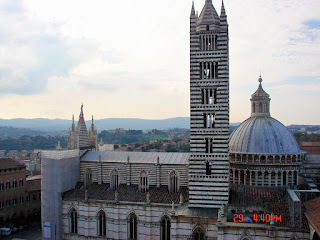 I climbed the gate tower to get a good view of the city including the duomo. 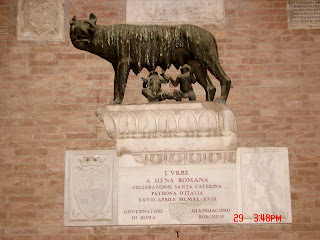 Nice statue of Romulus and Remus.